Mike's Auto Body has proudly been providing quality auto collision repair and restoration to Frederick, MD area residents since 1985. Each person in our Thurmont, MD auto collision repair and restoration shop - from the front desk to the paint booth - is dedicated to customer satisfaction. We strive to provide quality service and products to our clients, and treat each vehicle as if it were our own. It is no accident that we have been in business for over 25 years. Return customers and common sense customer service is our reason for success. If you think Thurmont is a little too far for you to drive, we offer vehicle pick up. If your insurance company will not cover it, we will. Mike's Auto Body, conveniently located near Frederick, MD in nearby Thurmont, MD, has been in operation since 1985. 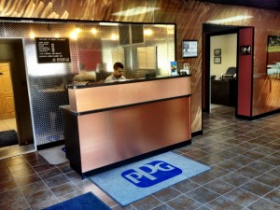 Each person in our shop - from the front desk to the paint booth - is dedicated to customer satisfaction. 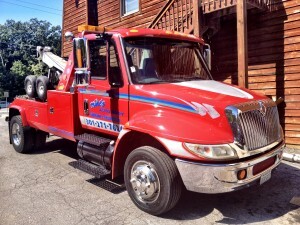 We specialize in collision repair, automotive restoration, and towing services in Frederick, MD and surrounding areas including: Gettysburg, Emmitsburg, Walkersville, Middletown, and Libertytown. The professionals at Mike's Autobody strive to provide quality service and products to you, our client. We treat each vehicle as if it were our own. The reason is simple. If you are happy with the results, you'll come back the next time you need our services, and may recommend us to your friends. At Mike's Auto Body, your satisfaction along with precision repairs is what we strive to achieve. When your vehicle undergoes collision repair or restoration, it should be near impossible to tell that you have been involved in an accident or that it has been restored. The paint should match perfectly, there should be no visible signs of repair, and it should drive down the road as straight as an arrow and your tires should wear evenly. At Mike’s Auto Body, we have been providing high quality collision repair and restoration services in the Frederick, MD area that is guaranteed.